We’re all excited for summer — but it’s also important to know the effects that a warmer climate can have on your skin. Check out our top tips and products for staying fresh this summer. Exfoliation is the process of removing dead skin cells on the skin’s surface. When you’re not exfoliating, old skin cells pile up leaving skin looking dull and rough. Incorporating an exfoliator into your body care routine once per week can help you achieve the healthy, glowy skin you’re looking for. Tip: exfoliating will also help your moisturizer and self-tanner apply more evenly, which is always a plus. This sugar-based scrub is packed with essential oils and is designed to smooth and soften skin. The gentle formula and peppermint extract in this product will leave you refreshed and clean after a long day. 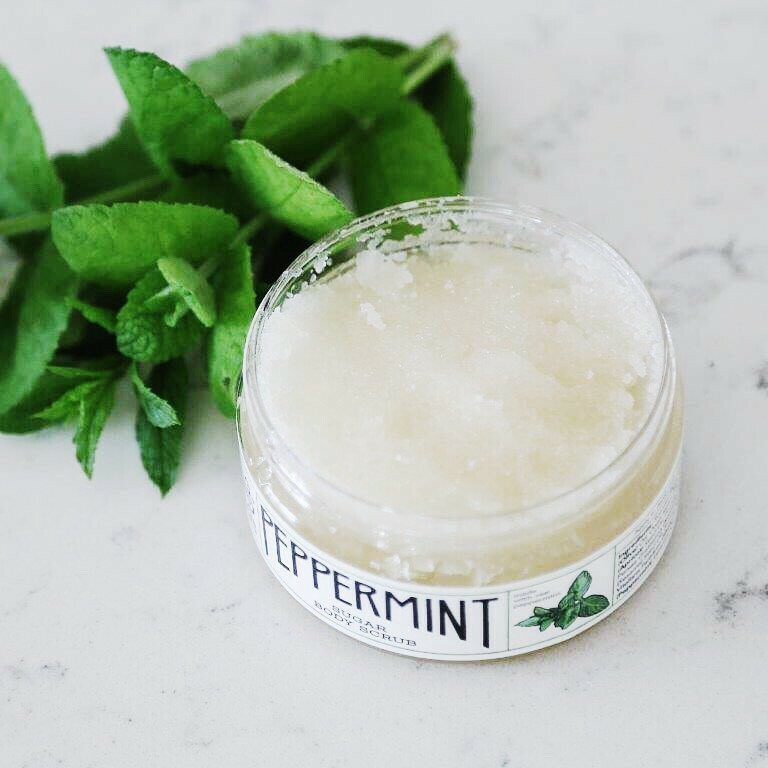 Find Erin’s Faces Peppermint Sugar Body Scrub rated 0 in our Think Dirty app. Coffee based exfoliators are loaded with antioxidants and vitamins. With almond extract and Vitamin E, your skin will be left feeling less puffy and more nourished. 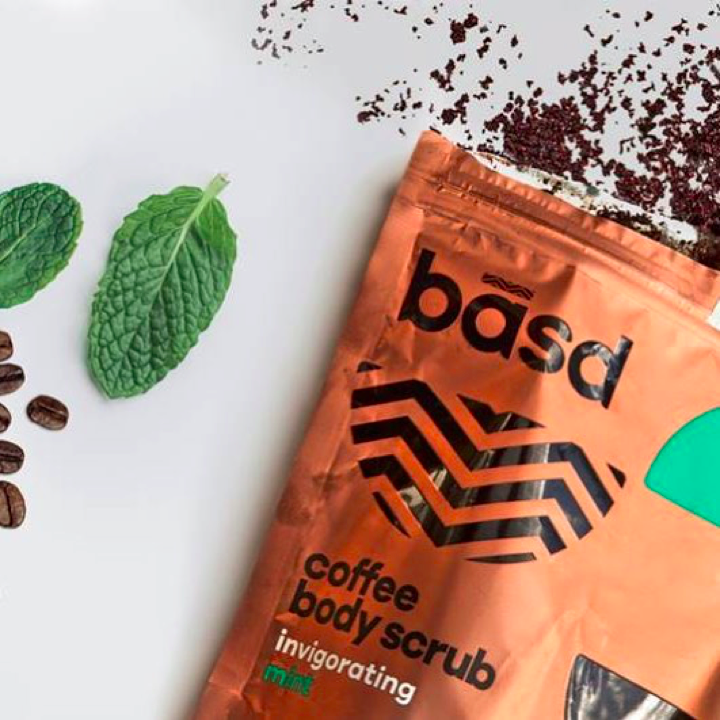 Learn more about Basd’s Coffee Body Scrub here. Finding a body wash that won’t leave your skin feeling heavy is key for the summer. 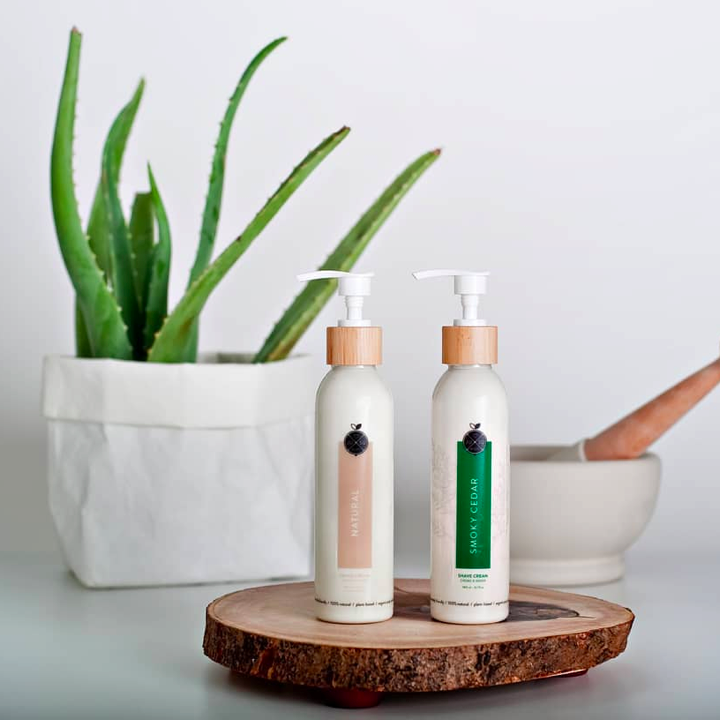 Sweat and chlorine are two culprits of clogged pores and finding an all-natural lightweight body wash that leaves skin feeling fresh can be challenging. Tip: use a washcloth or loofa with your body wash to get that deep clean you’re looking for. This body wash is great for everyday use and contains gentle ingredients like spearmint and rosemary. While the menthol in spearmint has relaxing and cooling effects on the muscles rosemary has antiseptic properties, making a great combination. If the herbal fresh scent isn’t your thing, the body wash is available in four other scents as well! 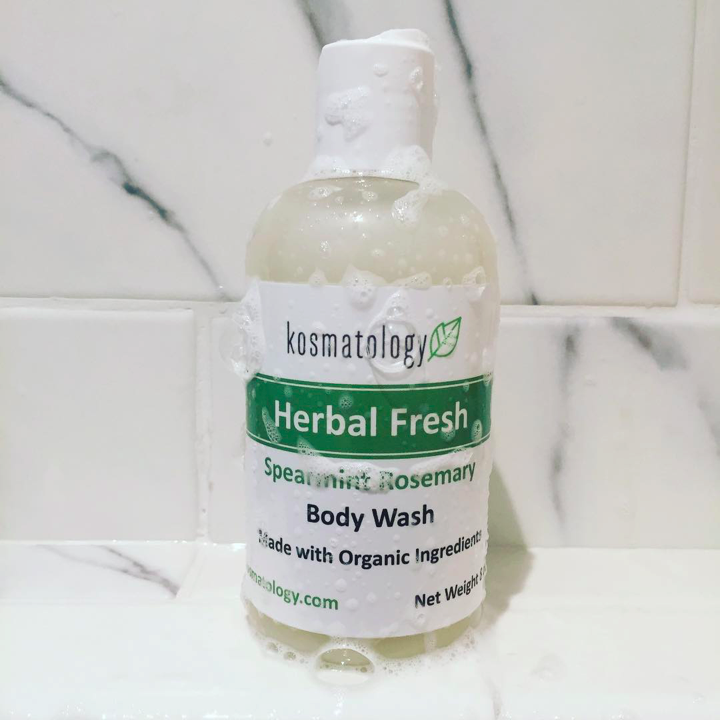 Check out Kosmatology’s Body Wash in Herbal Fresh here. Like many other body care routine transitions from winter to summer, shaving is no exception. Shaving regularly can help highlight your summer glow and make you feel more confident in your skin. If shaving is a step in your routine that makes you feel your best, we’ve found some products for you. Tip: don’t shave when you’re sunburnt! This can aggravate skin more. Focus on restoring your skins moisture instead. This shaving cream is jam packed with naturally hydrating oils that will help you achieve a clean shave without irritating your skin. Jusu’s zero-waste Jade pulp is anti-inflammatory properties, to help the skin feel its best. Find Jusu Body’s Shave Cream in Natural OR Smoky Cedar. Not into shaving cream? Check out Rocky Mountain Soap Co. Shave Bar instead. Rocky Mountain Soap Co. Shave Bar. High temperatures, humidity and dryness caused by heavily air conditioned rooms are all factors that will affect your skins level of hydration this summer. Moisturizing during the day and night is necessary for keeping your skin hydrated. Depending on your personal preference, body oils or body lotions make great moisturizers. Tip: hydrate your body from the inside out by drinking lots of water. It is recommended to drink 2.5L of fluids everyday, especially when its hot outside. Squalane is a mega-moisturizing molecule that hydrates skin while locking in essential moisture. This product is great to use for all skin types from head to toe. 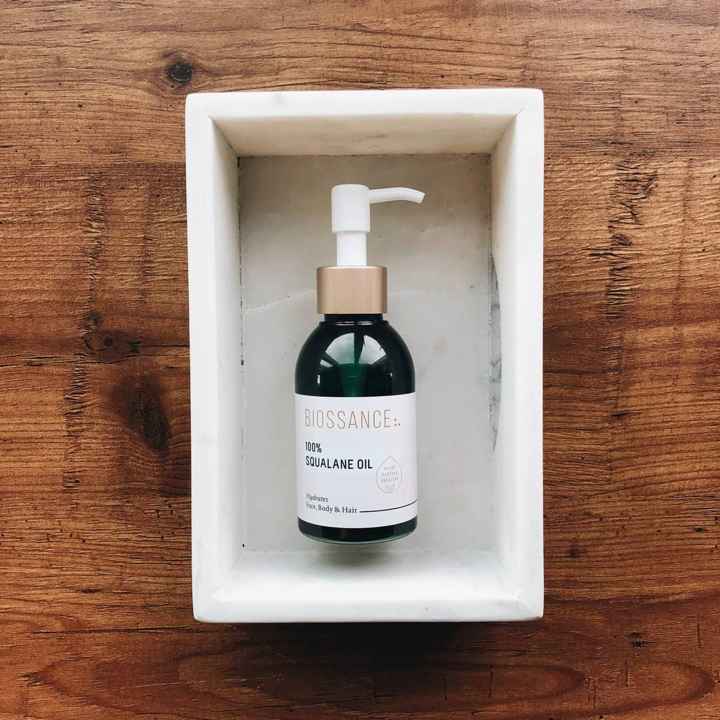 Look at Biossane’s 100% Squalane Oil. 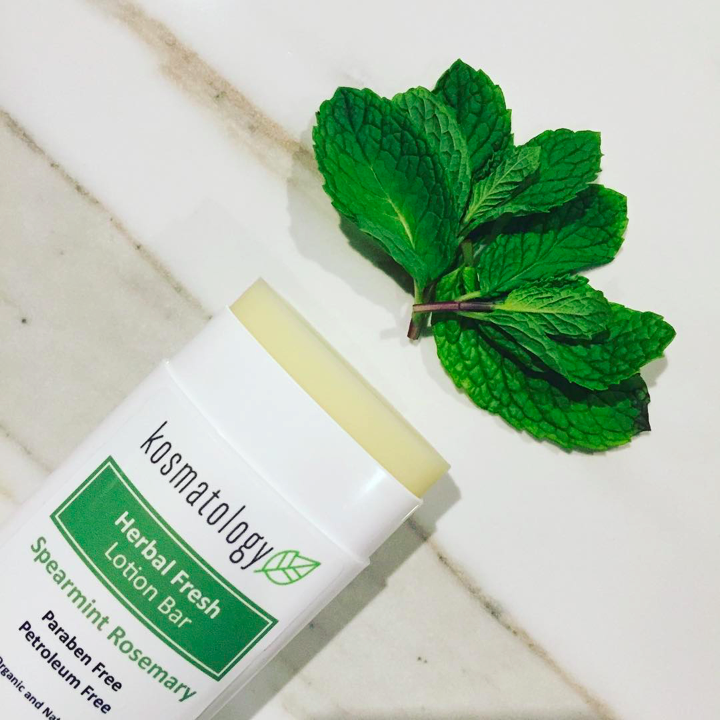 Kosmatology’s Lotion Bar can make moisturizing easy while traveling this summer. By being petroleum and paraben free, this product is great for people of all ages. Fun fact — The Lotion Bar is Kosmatology’s first product and inspired their entire line of skin care. Find Kosmatology’s Lotion Bar here. A good sunscreen plays an crucial role during the summer months. Your skin can be harmed by constant exposure to the sun, whether you see a burn or not. A sunscreen with SPF 30 and above is ideal, protecting you from both UVA and UVB rays. Tip: your lips can get sunburnt too! Transition to using a lip chap with SPF during the summer months. This natural sunscreen can be used on the face and body, leaving skin feeling smooth and protected. It does not contain any harmful ingredients making it safe to use by anyone over the age of 6 months. Learn more about Rocky Mountain Soap Co. Natural Sunscreen and Lip Butter. For an added boost of summer glow, try adding a shimmer body oil as the last step to your body care routine. This would be great to use on nights out, beach days or at a summer wedding. Tip: particle size is key — look for body shimmer that is highly milled. This will leave your skin looking more glowy and not glittery. Infused with a golden shimmer, this body oil will leave your skin feeling hydrated and nourished. Simply apply and massage into the skin to let your inner goddess shine. 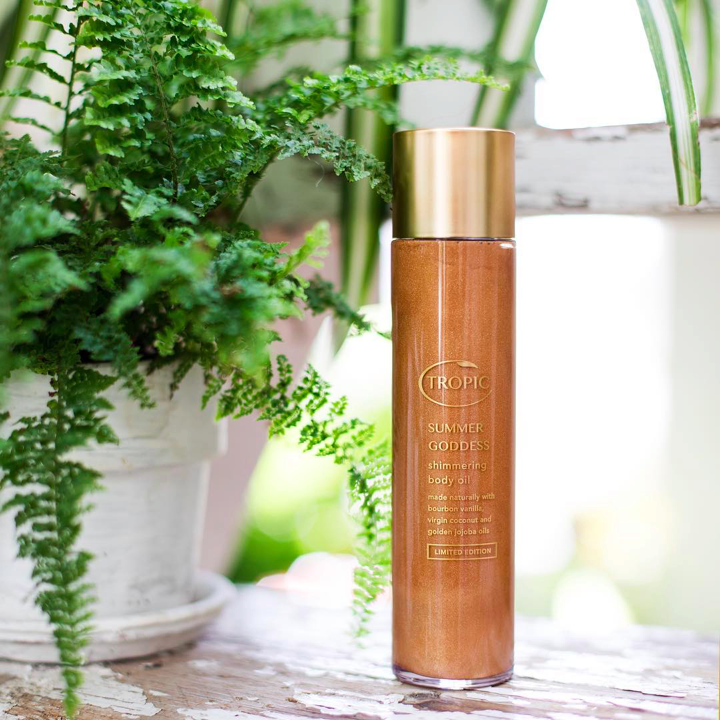 Find Tropic Skincare’s Body Shimmer Oil. Summer Essential Series: Transform Your Body Care Routine was originally published in Think Dirty on Medium, where people are continuing the conversation by highlighting and responding to this story.